I did a review on BeFunky last year and since then, the company had done a lot of updates and rolling out new features. And let me be really upfront and honest here. These new features are really good and definitely take image creation to whole new levels. But before that, let’s go down with some of the real reasons for image creation. You need to understand that image creation will make or break your marketing efforts. Gone were the days where you can simply get images from Google. In today’s world, you don’t need to be proficient in image creation to create a great image. All you need is powerful imagination and some awesome tools (like the one at BeFunky). Want to know what are the latest image creation tools out by the new BeFunky? Here’s a quick and short list! What is BeFunky Photo Enhancer (and why it matters so much)? 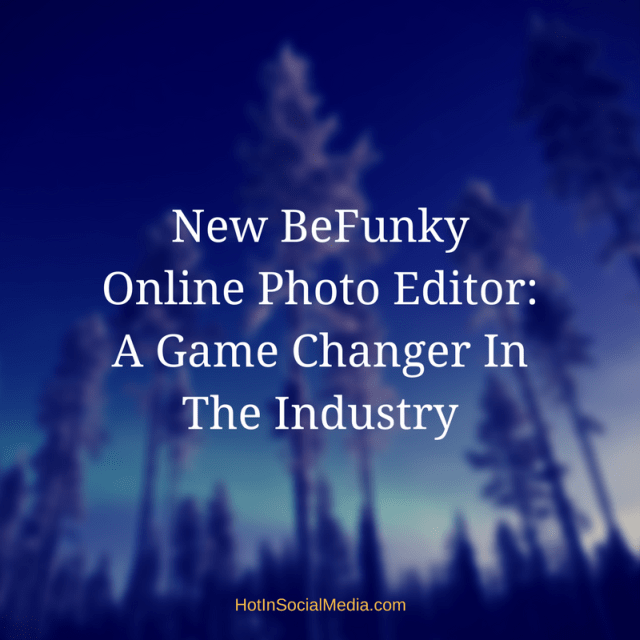 BeFunky Photo Enhancer will make your images looks more-than-just-great in a single click. Using BeFunky Photo Enhancer, you can easily turn images into super, crystal clear images. Taking directly from their photo enhancer page, they use a technique called as adaptive exposure. This feature allows them to surpass any other typical HDR effects. Their HDR DLX automatically separates the image into regions. Thus, allowing it to make those tiny adjustments based on lighting conditions of each region. With this feature, precise adjustments such as contrasts, sharpness and color enhancement will make the image come to live. Do you know that BeFunky Photo Enhancer is able to solve four of the most common photography problems (poor exposure, lack of detail, color issues and image noise)? And that’s not all about BeFunky Photo Enhancer. It comes with Photo Sharpening which increases the contrast along the edges within the image. We are all aware that any images will look bad when there is too much sharpen effect being applied to the image. In order to solve this challenge, BeFunky’s Sharpen DLX feature will help boost the contrast, improves the details and adding depth by precisely sharpening only the edges that require it. As a result, images created using BeFunky Photo Enhancer will be more realistic, high in detail and most importantly, saying “goodbye” to the annoying haloing effect! 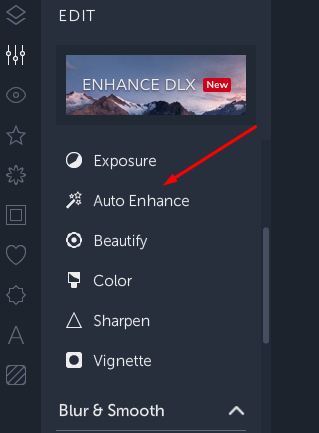 Photo Enhancer also comes with Denoise DLX. But wait! What is noise in photography? Typically, it is known to describe the graininess of a photo taken with incorrect ISO setting and/or in low light conditions. This intelligent tool will ensure that all your images are checked thoroughly for noise in both the chroma and luminance. In layman’s term, the BeFunky Photo Enhancer will be able to provide you with beautiful images without losing any original details on it. Typically, it is known to describe the graininess of a photo taken with incorrect ISO setting and/or in low light conditions. This intelligent tool will ensure that all your images are checked thoroughly for noise in both the chroma and luminance. In layman’s term, the BeFunky Photo Enhancer will be able to provide you with beautiful images without losing any original details on it. Cropping photos can be really annoying. Seriously. But with BeFunky, that is not the case. The team behind BeFunky definitely understands the hassle we (the users) experience when it comes to cropping images. Cropping using BeFunky tools is easy because it comes with a wide range of premade templates. And of course, there is the Golden Ratio that provides the classic crop that we are all very much familiar with. There are also Square crop (you have no idea how much I love this) and even Freeform if you like thinking out of the box. What makes BeFunky Crop Photos unique is the ability to take complete control of the cropping activity. You can transform it into any images of your choice, including turning it into the landscape for your much beloved social media profiles! I’m sure most of you can relate to this when I tell you that it is always very challenging to resize images. The reason behind this is simple. 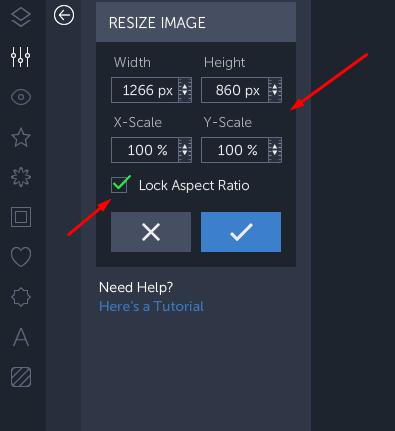 When we resize an image, everything changes including the resolution! I know you are nodding right now! With BeFunky Resize Photos tool, you don’t have to worry about it, anymore! Using BeFunky, you can easily resize the image with just a few clicks and more importantly, it won’t compromise the quality of the images. The Resize Image is also a killer feature because it is really user-friendly. Beginners can easily use the app to create images without the hassle and the entire process would just a few clicks. How to do you use the BeFunky Resize Image feature? Now, here’s what I can tell you. BeFunky is great for both mobile and desktop. For me who is always stuck to my smart devices, BeFunky mobile application is really a lifesaver. In most cases, it is way much better than most of the photo editor apps in the market. The features are insanely enormous and in many cases, you can only find those on desktop version (for other photo editor applications). But yes, I got to send my “kudos” over to the BeFunky team for developing such a great mobile application. Being a complete beginner in photo editing (trust me, I’m really bad at it), In most cases, it takes hours just to do a photo edit. Do I need to remind you that I hate editing? With BeFunky, you don’t need technical skills or designer mindset to edit an image. It comes with many smart enhancement tools to help you fix poor lighting, which is, by the way, the biggest mistakes for many of us newbies. Of course, the features and tools also help you to solve those confusing digital noise, fuzziness and other problems with just a single click. The ability to move from desktop to mobile (and vice versa) is really a life-saving feature. I travel a lot and most of the time, I am always with my phone. With BeFunky mobile app, editing on the go is the single, most effective strategy for me. Plus, it is really time-saving too! BeFunky had come a long way and trust me, it is going to continue to expand their services and features in the near future. At this point of time, they are already the top tier and if you have not tried their services, click here to sign up for a free account (and just for yourself)!